Erskine and District Rotary Club is part of the global family of Rotary International. One of the major achievements of Rotary International has been the near eradication of Polio. If you would like to be part of an organisation dedicated to making the lives of people at home and abroad better by members donating their time and skills, then get in touch on this page to find out more about our friendly, active, informal club. Read on to learn about Rotary's fight to end Polio. 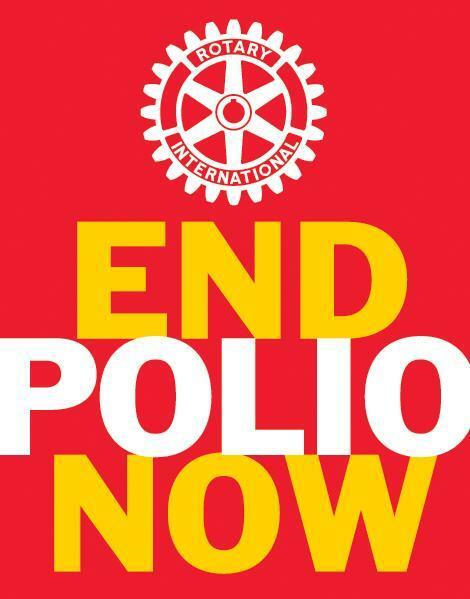 Polio Eradication has been Rotary's top priority since 1985. Since then, polio cases have fallen from 350,000 a year to a recorded 37 in 2016. Thanks to Rotary's help, two billion children have been protected from the disease, and the number of endemic countries has fallen from 125 to just three: Afghanistan, Nigeria and Pakistan. IT IS ESTIMATED THAT 5,000,000 CHILDREN HAVE BEEN SPARED FROM DISABILITY AND 250,000 DEATHS HAVE BEEN AVERTED. Really we are THIS CLOSE to Ending Polio Now and we must not give up now! Rotary recently launched endpolionow.org , an interactive virtual home where people can come together to finish the fight against polio.